For most people postal mail is a thing of the past. We communicate through emails and instant messengers, pay through credit cards and receive money through electronic bank transfers. But every now and then, when we have to mail to some "lesser mortals" we have to use the traditional way which we lovingly refer to as snail mail. Keeping in view of our disgust of licking postage stamps, some services have sprung up that promises to make snail-mailing a lot easier on die hard emailers. Primarily they save us the walk to the post office. Then there are other services that handle both our outgoing as well as incoming snail mails and converts them into the electronic version. This is particularly helpful because it allows us to continue receiving all our postal mails even when vacationing. 1. eSnailer is a service available only in the US. Provide the address of the recipient and type the letter. They will print, envelope, stamp, and send your letter via regular U.S. postal mail free of charge. But where is the catch? After you write your letter you will be asked to accept one of their free offers. They say that the offers are absolutely free and takes no time of yours. Hmm... somebody please use it and tell me. 2. ePOSTIT is a better service and covers a much larger population. You need to compose your mail, provide the recipient's address and email them. They will print the mail and send it to the desired postal address. Once your mail is sent you will receive a confirmation message with the date and time your message has been mailed through the postal service. You can even send pictures, up to 4 per postal address per week and a maximum of 5 mails per week. These picture will be printed on photo printing paper and can be resized by them if required. ePOSTIT apparently survives by sending "limited" amount of advertisement along with the mails, which I guess is OK. ePOSTIT's services are available in USA, Canada, UK, China, Hong Kong, Macau, Taiwan, Japan, India, Singapore, Philippines, Thailand, France, Denmark & Finland. There is also a "Vice-Versa" service where you can send them mails at their Washington address and they will convert them into emails and mail them to the desired address. The cost of posting will have to be born by the sender. 3. Earth Class Mail works the following way: First, you pick a "Remote Address" for one of ECM's locations, and have selected mail sent to that address. When you receive a mail, they will scan the envelope without opening it and send the scanned images to you for review. Once you’ve reviewed the mail, you can then direct the company to either shred it, open and scan the contents for you, or forward it to your actual postal address if it contains sensitive information you don't want them to read. This service is available starting at $9.95 per month and is reportedly used by customers from 130 countries according to them. Check out the details of their plans. 4. Snailmailme allows you to create a fully customized letter or postcard which they will print and deliver for to any mailing address in the world. To send mails you have to buy Snailmailme Credits which costs between $0.75 to $1.00 each. You can then use these credits to send mails. Each mail costs anything between 2 to 5 Snailmailme Credits depending upon the recipient's location. 5. L-mail is another such service that allows you to send letters to various destinations. Rates are different for different countries and is really cheap, about $1~$2 for each letter. 6. EZGram's mailing service allows you to create personalized letters. 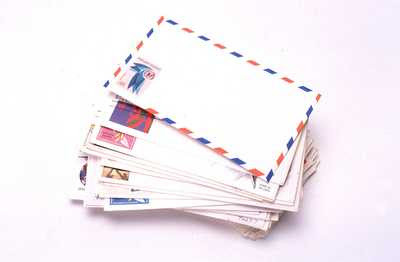 You compose your letter and they print the letter, fold and insert it into an envelope, stamp it, and mail it. You'll receive an email notification when your letter has been processed. Letter can be sent on the current date, or any date in the future. Letters can be sent for as cheap as $1. There was another service called Web2Snail, but the last time I checked their website was returning error 500. Either their servers or their service is dead. I am the CEO of www.snailmailme.com and am happy to see that you took an interest in these types of services. Its nice to see the comparison to paid services and that we are the most cost effective. I would also like to point out that we have been around the longest and have the best customer service structure out there. We also are launching a snailmailme.com business solutions site to accomidate the recent influx of businesses that have requested us to help them get their mailing out in a fun way. Feel free to let me know if you have any futher questions about what we can do or new deployments that www.snailmailme.com will be launching and I would be happy to speak with you about them! InstantFundas just posted a full article about PostalMethods. On top of providing services similar to the fine services mentioned above, PostalMethods offers an advanced Web Services API allowing developers to integrate mail sending abilities into their business application and automating their mailing process. No need to buy those expensive mailing machines. Now you can save all that electricity and office space and post mail electronically. Nice article. I recently found out about a new service of Online Postal Mail provided by Popfax. I think it is a very good trend to go paperless and send letter whenever and wherever we need using just our internet connection.